If you are looking for a compact dump pouch that quickly rolls out to a large bag to catch your magazines when needed, then you will definitely want to check out the new option from SORD USA. The pouch only takes up one column of webbing and is available in MultiCam, Black, SBC (Tan), and A-TACS CAMO. Now that many are paying the polymer's weight in gold, you will want to take a little more care with your PMAGs. 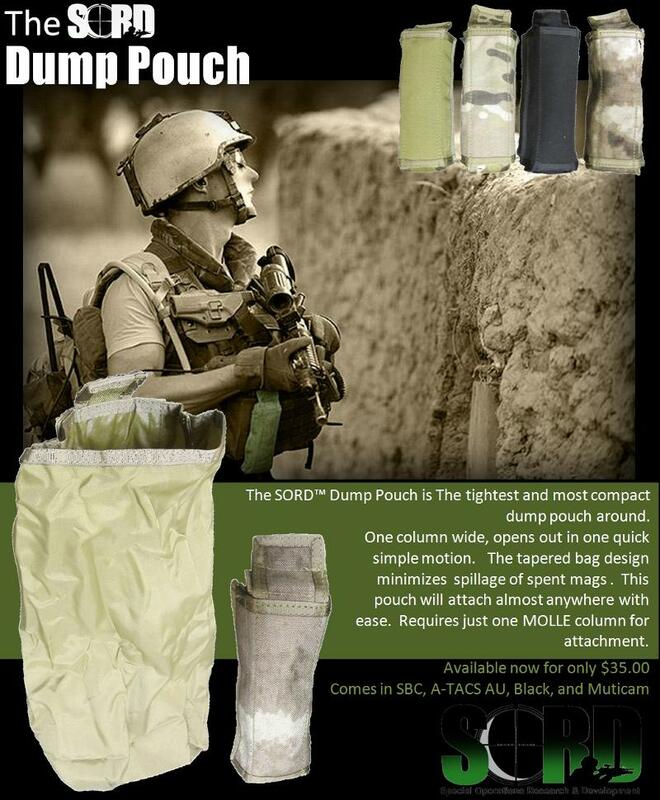 You can find the SORD Dump Pouch now with our own special rate at Predator Armament.